Hot on the heels of last week’s news that Facebook were in the midst of removing all of the fake likes on the social networking site, comes the news this week that they are (inadvertently) putting on false likes of their own. It seems that a fault with some social plugins for Facebook has meant that likes for a website are often miscounted. A researcher found that a site didn’t even need to be visited to gain likes on the site or story, just a private message sent with the site URL in it. Before the rounds of panic begin though, don’t worry none of your personal information is involved, so Facebook this time can breathe a sigh of relief over privacy issues. “Many websites that use Facebook’s ‘like’ or ‘recommend’ buttons also carry a counter next to them,” Facebook said. “This counter reflects the number of times people have clicked those buttons and also the number of times people have shared that page’s link on Facebook. Facebook went on to explain that the social plugin bug was just that and that with webpages, the figure on the like button also represented how many times the page had been shared. It also said that ‘shared’ likes were anonymous and didn’t appear in people’s newsfeed. This would suggest that people are ‘liking’ a site without knowing it. According to Ashkan Soltani of the Wall Street Journal, the way that the numbers are inflated could be seen as like fraud. Facebook celebrated having one billion active monthly users earlier in the week and said that the site now has 1.13 trillion likes – have to wonder what proportion of that figure is genuine eh? 4G will be coming to the UK earlier than expected, thanks to a meeting held this week between telecoms regulator Ofcom, networks and broadcasters. The part of the radio wave spectrum that will use 4G is being freed up earlier than expected due to a smoother switchover from terrestrial TV to digital and this means that the auction to sell of the spectrum will now take place at the end of the year. O2 and Vodafone, who were both threatening legal action over Everything Everywhere (EE) being given permission to roll out 4G early, have now dropped their cases and will participate in the auction. 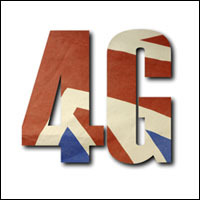 EE has said that it may be ready to start rolling out its 4G services across 16 UK cities at the end of October. Vodafone and O2 had argued that Ofcom were giving EE an unfair advantage by allowing them to use their existing spectrum to offer 4G before any competition. Foreign secretary William Hague has warned a Brussels cyber convention that cybercrime is now easier than ever. He pointed out that in many cases, setting up a botnet that can empty bank accounts costs crooks just £3000. Of course, the potential returns from a botnet are significantly more and it’s this that Hague would like to see addressed. He wants the UK to be a world leader in cyber security and £2m will be pledged annually to help Britain achieve this. A research centre will be set up at one of the universities where this kind of research is already carried out and the aim is to help the rest of the world deal with cyber attacks. However, we’re not talking cyber espionage here, just your run of the mill crook who takes cash from unsuspecting surfers with inadequate security protection. Banking trojans are common and can look very convincing as technology and cyber crooks become more sophisticated. Many of them now use social engineering tactics alongside mobile phone numbers in order to catch people out and have them login to a false banking page which appears automatically in the browser of an infected machine, for example. Other threats include those that pretend to be antivirus products, asking for a removal fee once a user is infected and the Windows scam in which people are phoned and told they are using a dodgy copy of Windows. Victims of the latter are told that they face a fine and their computer is locked remotely once the conman has talked them into logging on. This one is still doing the rounds, so it’s worth remembering that Microsoft will never feel the need to phone an end user (that’s me and you) about anything. If you do receive a call like this, my advice would be a whistle. Talking of espionage, James Bond is 50 this week. Yes, half a century of action-packed spy movies brought to us courtesy of quite a few actors. So we thought it only appropriate to treat you to Alan Partridge’s narration of the Spy Who Loved Me. Who’s your favorite let us know in the comments? Need to boost you Google rankings? Hire us for SEO services.